Show support to people who are, and who have been, affected by cancer. 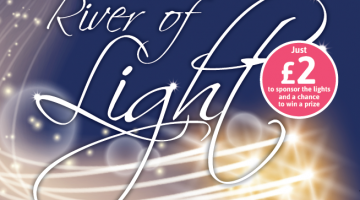 The lights represent love, hope, memories and wishes… and will be floated down the River Wensum from St Georges Bridge to Fye Bridge in Norwich to create a beautiful light spectacle that is the ‘River of Light’. For £2 you can sponsor the lights and be part of something special, and can make a dedication to a loved one if you wish. Through this sponsorship you get the chance to win a host of prizes. The sponsorship tickets can be purchased at any Norwich Inns establishment www.norwichinns.com/directory/Funds raised are in aid of Keeping Abreast and will support women facing breast reconstruction following a breast cancer diagnosis or discovery of the breast cancer gene. 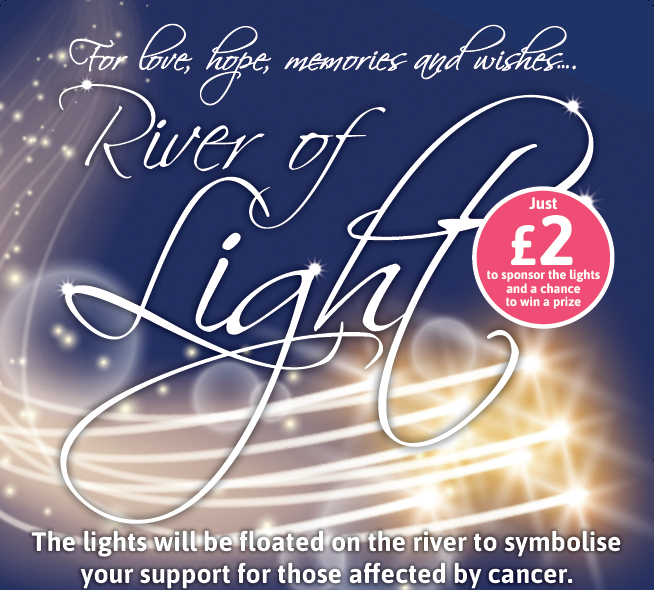 The River of Light takes place on Friday 8th March based at the Elm Hill Park behind the Ribs of Beef pub at 6.30pm. Can’t make it? 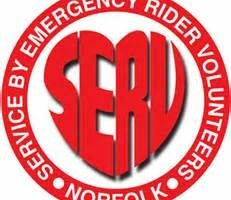 You can still buy a prize draw ticket for the chance to win, and you’ll know your sponsorship is ‘shining bright on the night’.